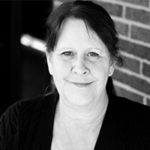 Debra Wallace is a master’s-level licensed therapist who currently works in dual-diagnosis residential treatment in Ohio. Debra has worked in outpatient and residential settings with people who have mental health and alcohol or drug use disorders. She has held supervisory and lead therapist positions and currently facilitates group and individual therapy for new patients entering residential treatment for primary drug and alcohol issues along with secondary mental health disorders. Debra’s primary theoretical approach is Rogerian person-centered with a focus on cognitive-behavioral and dialectical behavior therapy benefits. Debra’s goal is to help and encourage patients to live happy and healthy lives that are free of chemical dependency.